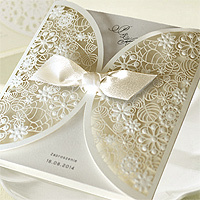 At Your Invitations we have an impressive selection of personalized and beautiful wedding invitations. 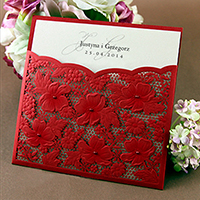 Most of these feature embossed details and/or patterns which will make your invitations exceptional in how they look and feel. 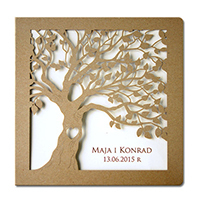 All are at very attractive prices and we are sure that you will find something that matches the theme and style of your wedding. 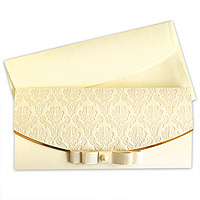 - all invitations are sent from Central London for a quick delivery. 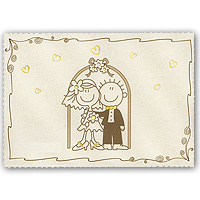 Go to Wedding Invitations section to browse through our collections. 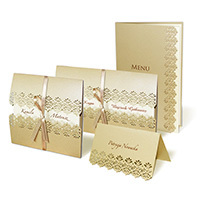 You will notice that invitations are in various languages, if your native language is not English then we can still print it as long as you send us a Font file. 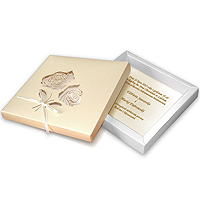 With time we will add other sections like: Wedding Stationery, Wedding Accessories, Christmas Cards, Easter Cards, First Communion Announcements, Baptism Invitations, Photo Albums and others. Therefore make sure to visit us from time to time to check the progress (or follow us on Facebook, Twitter or Google Plus). @Yrinvitations on Twitter is a new feature.